Create the exact ratchet strap you need for your specific application. 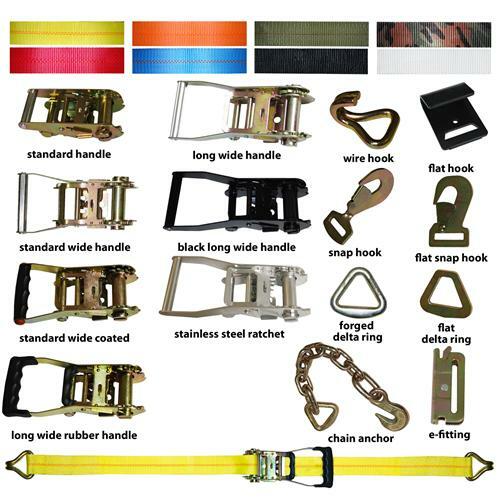 This is a completely custom ratchet strap made from the options you choose below. If you need different tie down hardware on the fixed end and on the adjustable end, you found the right place. You can also choose the length and color of the webbing as well as the type of ratchet. This is a completely custom strap. Please pick your specifications carefully and preview before Checkout. Any straps ordered under this heading are non-returnable.